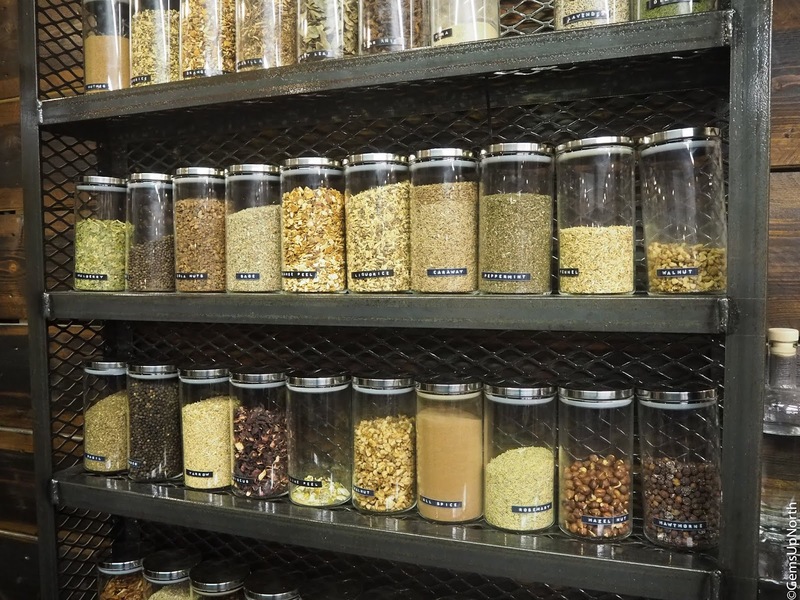 A couple of weeks ago I was invited to Three Rivers MCR for an evening of gin talk, gin-spiration, gin drinking and gin making; yes I said gin making!!! 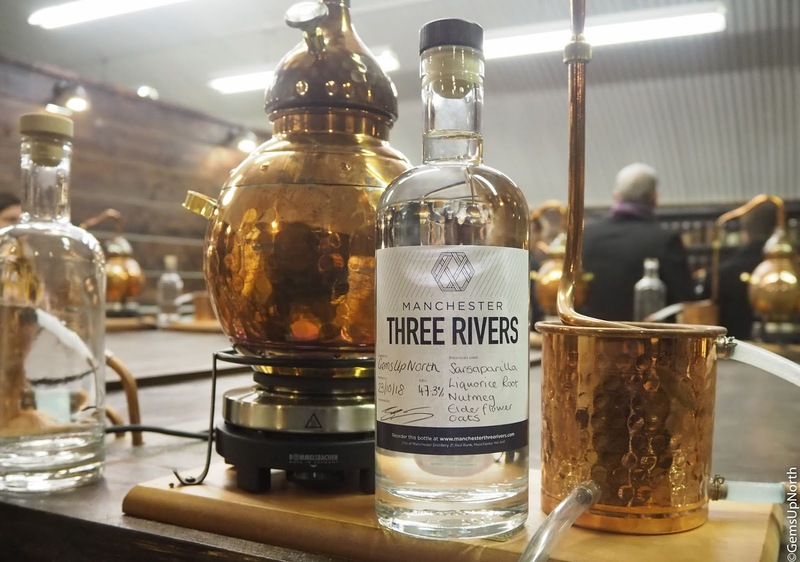 Three Rivers is Manchester’s first of its time, city centre Gin distillery. They create all their own gin in house which is sold all over the UK and is a smooth tasting gin perfect for any gin fan. Not only does Three Rivers offer a delicious tasting gin but they offer a one of a kind Gin experience!! 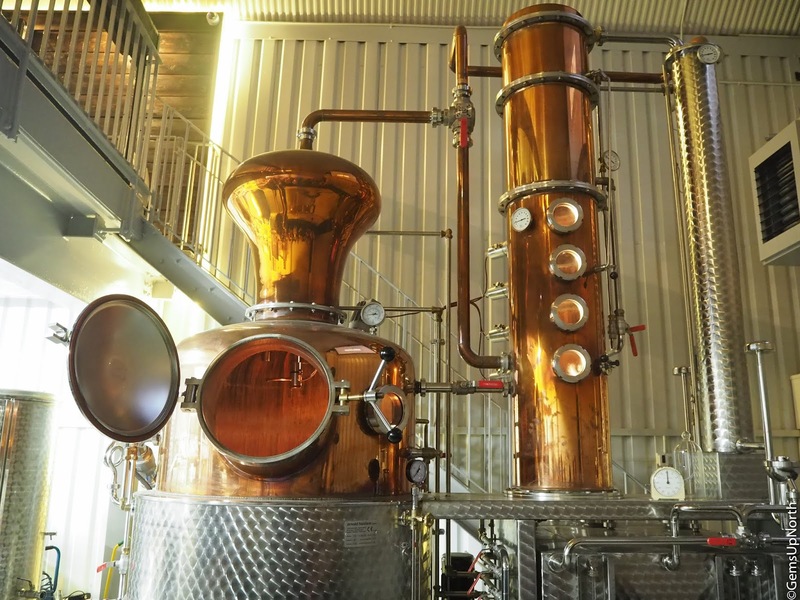 The distillery has its own gin school as I like to call it and it’s a full experience which teaches you all about the history of Three Rivers, some Manchester history, the history of gin and then you get to create your own gin using different botanical's and Three Rivers own blend. We was all welcomed with a G & T with dried apricots as a garnish which was bloody amazing! The evening began with a short video narrated by our experience leader (one of the Three Rivers creators), the video told us all about the history of Gin, how it came about and how it’s become one of the most popular drinks of choice for many people. We had tastings throughout this part of the evening as well. I learnt some history about Manchester and the city I love so much too. This was a great start to the evening and I think the video/information was just right and gave a perfect introduction to Three Rivers. Next we moved downstairs to the gin distillery area where pride of place ‘Angel’ lives. 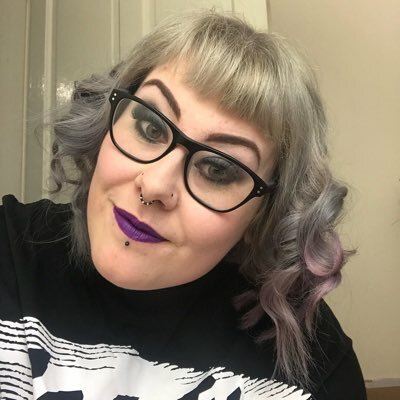 This was a wow factor of the evening and Angel looks glorious, we were told how Angel works, where she was made and was able to ask questions at the end; all whilst sipping a violet gin cocktail. After all the insightful info and drinks we were directed to the building next door, ready to get stuck into Gin School! Again we was welcomed with a drink and amazed by the Three Rivers set up! In this building were small stations with mini gin distillery equipment ready to create our very own gin!! Let's be honest this is the part of the evening that everyone was looking forward too and we all couldn't wait to get stuck in. 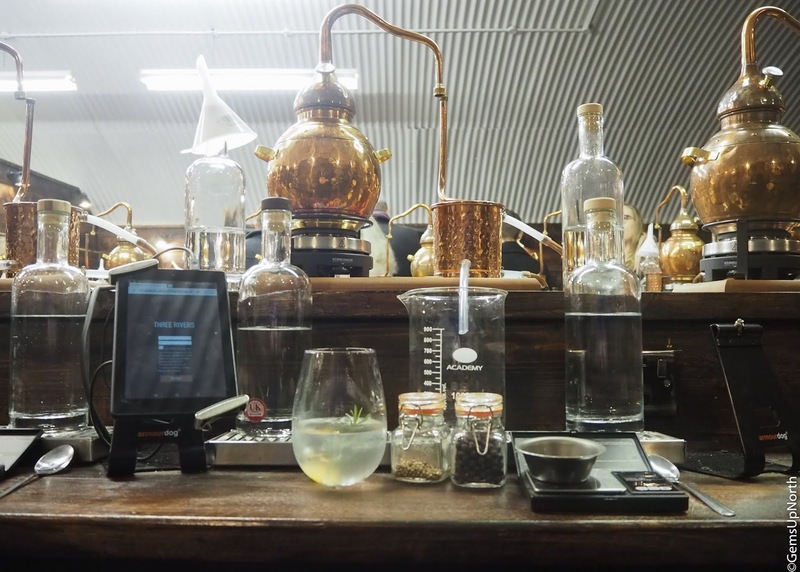 To guide us with the botanical choices, each station is equipped with a tablet with all the ingredients available to add to your gin and this gives you the opportunity to save your creation at the end; so if your gin is your new favourite drink you can re-order a bottle anytime! I personally like sweet gins and generally pair mine with lemonade or ginger beer so I wanted to create a sweet gin adding all the sweet ingredients I could find, I threw them into the distiller once prompted by our guide of course and crossed my fingers. Job done, the waiting game now whilst our gins distilled, this gave everyone a chance to chat and mingle and drink some more G&T. By the end of the experience I had not only created my own gin, I had learnt so much about the history of gin and Three Rivers and had a fabulous experience that really is a unique gift when you think about it. 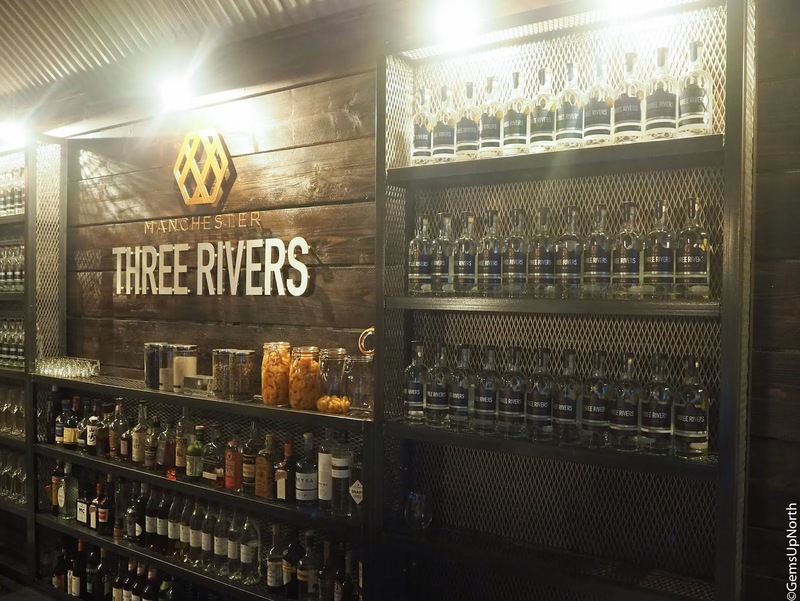 I like the idea of having experiences to remember, spending time with friends and family and generally having a good time, I'd totally recommend the Three Rivers experience to any gin lover, fan or newbie. Three Rivers offer Gift Vouchers so grab your gin loving friend, family member or other half a voucher they will enjoy and experience this Christmas. You can purchase them here on the Three Rivers website. Thanks again to the team at Three Rivers for inviting me down for the evening and putting on such a fab experience that was nothing but fun-filled!